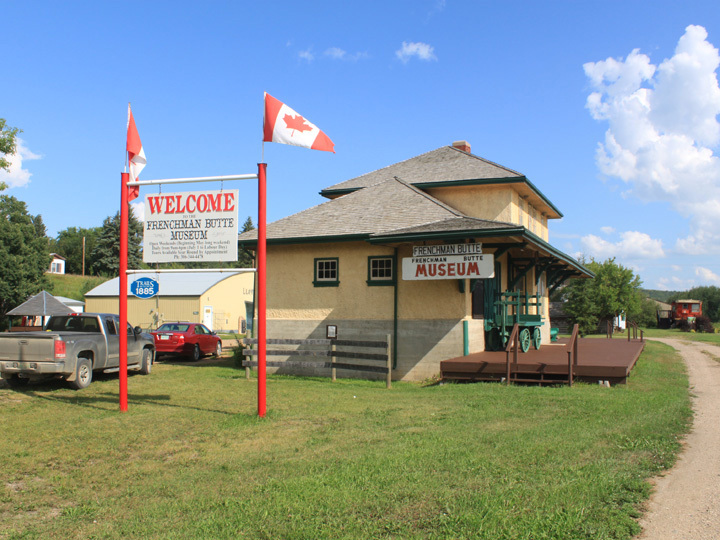 "BEST SMALL TOWN MUSEUM" in Saskatchewan! "The Frenchman Butte Museum Society serves to collect, preserve and promote our community's heritage and our Canadian history for the public's education and appreciation." With so much rich history in this breathtakingly beautiful region of Saskatchewan, a group of local residents got together in 1979 and founded the Frenchman Butte Museum. It was their desire to preserve and pass on the history of this area. 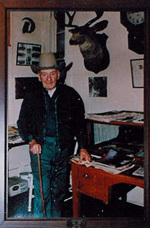 The museum is based upon a collection of guns, arrowheads and other pioneer artifacts gathered by the late Lloyd Furman, who spent many years collecting artifacts. Originally, it was housed in the restored CNR Station, but it quickly outgrew that space. As a result, a large quonset was erected - the Lloyd Furman Building. The site has continued to grow with additional buildings being added as needed. 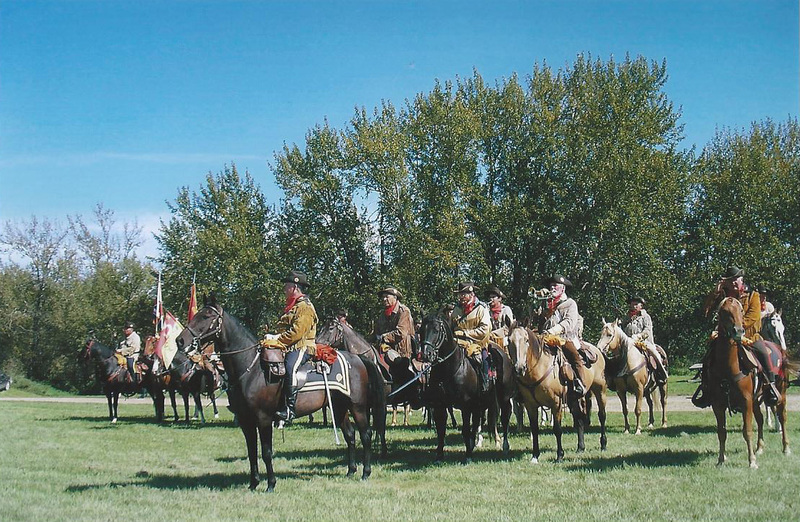 Each summer more than 2,000 visitors tour the Frenchman Butte Museum site, snuggled into the center of this picturesque hamlet which lies in the valley of the North Saskatchewan River less than an hour's drive northeast of Lloydminster. The museum consists of nine buildings, most of which have been refurbished to the way they existed years ago and arranged along its own street in the community. Tour the historic Frenchman Butte Rifle Pits. Tour the Fort Pitt Historic Site. Carlton Trail and much more! Head on down to the river for some serene fishing. Take a walk on the In-Motion Walking Trail. Enjoy Sunday Service at the River View Community Church with the most magnificent view of the North Saskatchewan River. Kayak, canoe or float down the river on a tube. Go on a quad adventure. Enjoy a day at one of the local lakes for a day trip, only 30-45 minutes away. Take your time touring the Frenchman Butte Heritage Centre and relax for some refreshments and light lunches which are available at our Log Cabin Tea House. OUR HERITAGE RV PARK IS NOW OPEN! There is so much to do here....book now to ensure your space each year! This website will give you a glimpse of what the Frenchman Butte Museum is proud to offer you in person. We hope you will enjoy browsing here as you plan your visit to our museum.